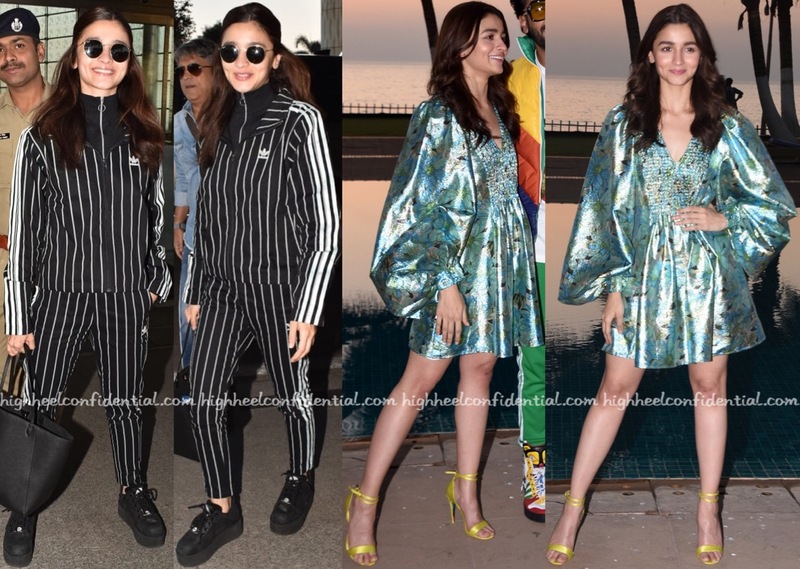 Between the striped Adidas separates that she teamed with her chunky sneakers and the floral Stella McCartney dress that she paired with yellow ankle-strap sandals, no prizes for guessing which we liked her more in. 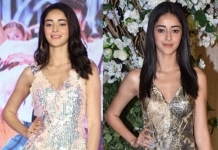 Yup, it was the latter… The mini was a good pick for her; Alia looked good! Why she stands so weirdly in those high heels..it looked funny on Kapil Sharma s show too. i noticed too. its the heels i think but it does look awkward. I know site features women more but little weird that you haven’t featured the main actor and director of what seems to be a well received movie at the film festival. I ts like seeing Vicky Kaushal wall to wall for Raazi promotions! Looks are nice enough anyway, Alia has charm. PS: No it is their blog their choice replies. I know it and this is my comment. They aren’t promoting the movie, I think. So doesn’t matter male / female covered. Most recent Alia pics are from the Berlin Film Festival where Gully Boy was shown. Definitely film related. Unfortunately, we do not have the time or resources to cover everybody. It is what it is. We have our day jobs and personal lives to tend to as well. We do what we can. You could have skipped some of the usual same old airport looks and covered Ranveer Singh just because he has some personal style that might be more interesting. But ya it’s your choice and this is our feedback. Cheers! I enjoy all your post and you people are doing a great job. Please keep posting. Male Or female, actor or non actor it does not matter.we just enjoy everyone’ s outfit. I realise that for sure Payal. It seemed like a lot of Alia coverage with Ranveer cropped out hence my comment. As Suchi said would have appreciated a mix. I like the Addidas – it is much more in character for her Gully Boy look. Actresses need not look like pretty little dolls all the time, they can also have fun with street style especially when the occasion calls for it, like with Gully Boy. The dress material looks shiny and cheap looking, wouldn’t guess it to be at high-end on first looks. You guys are joking right? Both outfits are bad. You need not be nice just because it is Stella McCartney .It just marginally better than the Adidas outfit .MARGINALLY. I am sure the reaction would not have been favorable towards the floral outfit had it not been from a designer label.Please , let is always be design over designer label. I feel the same as Envy above. Whats with the cheap table cloth looking fabric? The Adidas outfit fares much better. Could you please id black boots/sneakers?